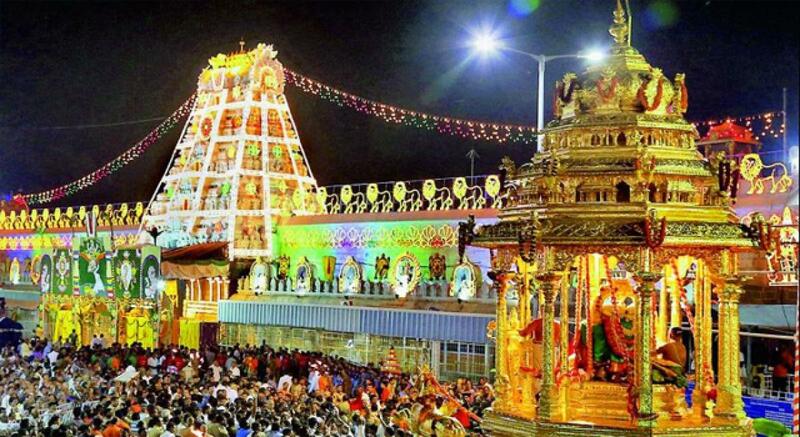 Tirupati: Two chief priests who had retired from service after the TTD terminated them in May this year after they attained 65 years of age, rejected the retirement benefits of Rs 30 lakh paid to them by the management. The two former chief priests A P Sreenivasa Murthy Deekshithulu and AS Narasimha Deekshithulu in a press release informed the media on Wednesday that the final settlement made by the TTD was not at all acceptable to them and also against natural justice and against law. In the strongly worded statement, the two Archakas said that they were sent out against their wish in a most unceremonious way by the TTD management ignoring their dedicated service as chief priests in the famed Tirumala temple for about 20 years and also as priests before their elevation for many more years. Saying that the decision of the TTD retiring them is unilateral and the remittance of Rs 30 lakh in their accounts in August 16, appears to be a cover of the hasty step taken by TTD management which is highly objectionable as it is in violation of tenets of Agama Sastras which clearly stipulate that the Archakas should continue the divine service as long as they are mentally and physicaly fit to do the Kainkaryams at the shrine. They contended that their appointment as Tirumala temple priests was purely based on their hereditary rights as archakas in the temples to whom the retirement like other priests is not applicable and accused the TTD of terminating them in an insulting manner without taking their opinion. The two said that as they decided to get their issue resolved by the court they are not readily willing to accept the benefit and hence decided to return it. It may be noted here that another chief priest A V Ramana Deekshithulu who fired the first salvo against the TTD management had already rejected the retirement benefits. The TTD in May this year issued notices retiring the four chief priests of Tirumala temple and later 15 priests on the ground of completion of 65 years of age, fixed for retirement of Archakas by the government, stirring the hornet nest. Unconfirmed sources said that 15 Archakas who were also retired at the temple refused to accept the retirement benefits.